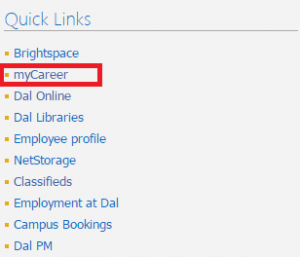 Students can access myCareer through the myDal portlet. 4. Once myCareer has opened, decide whether your purposes require the use of the Management Career Services tab or the Career Services tab. Click HERE for more clarification.